It is one thing to view your photos on a computer, but it is something entirely different to see, touch, and flip through pages filled with gorgeous images of your wedding. A laser engraved cover with a contemporary linen cover that feels like velvet. Inside this album you will have lay-flat images on thick Fuji archival- quality paper. 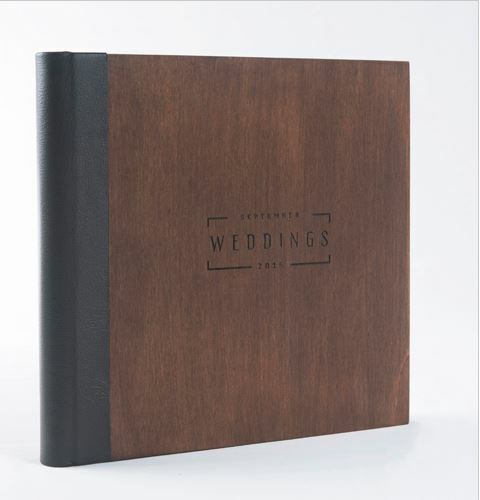 An ultimate hand-crafted wood album with artisan genuine leather spine. Inside this album you find lay-flat images on thick Fuji archival- quality paper. This album also includes a wooden box to assure safe storage of album. Album cover options include Oak wood and a wedding LOGO. Rise Wood Box will have the same engraved design as the album cover. A modern, artistic personalized tone-on-tone cover with black matte paper and spot UV printing in 7 logo design options, spot UV printing on the fly pages and back cover branding. 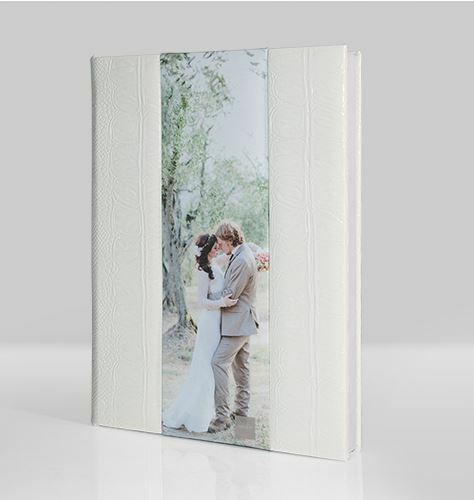 A beautifully wrapped custom photo insert with scratch resistant matte-film lamination that gives a slightly textured appearance. Inside this album you will have lay-flat images on thick Fuji archival- quality paper. A beautiful hand crafted box with your favorite images displayed on Mats.